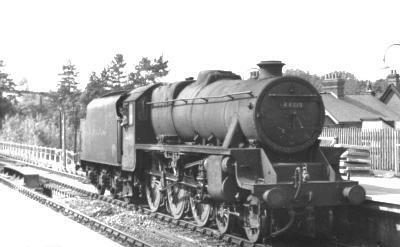 A train for Baker Street at Amersham in 1961. 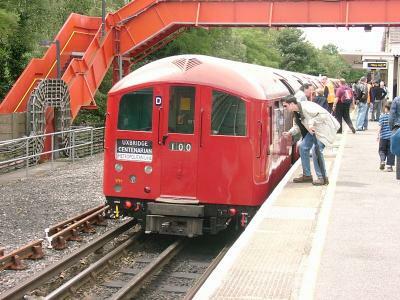 The train is comprised of T Stock. 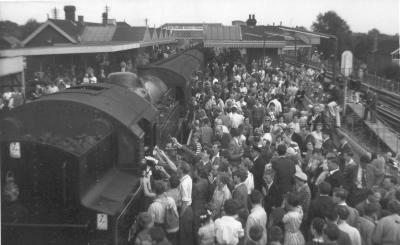 On 4 July 2004 a 1938 stock train visited Amersham as part of the Uxbridge 100 Rail Tour, celebrating 100 years of the service to Uxbridge. 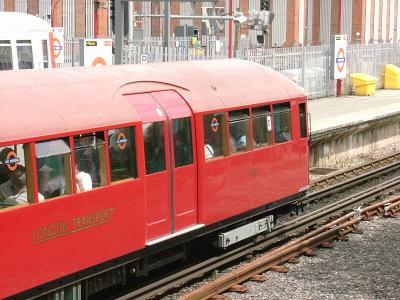 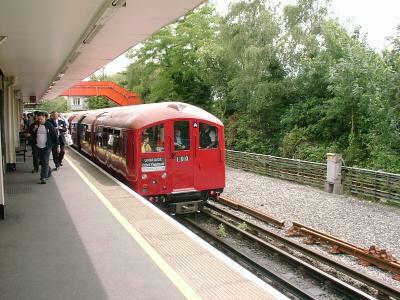 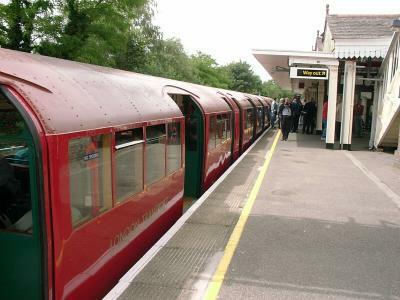 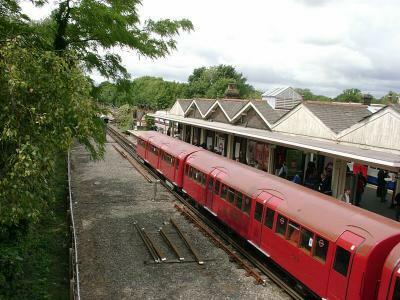 1938 stock has not often been to Amersham, although it has made appearances on previous rail tours. 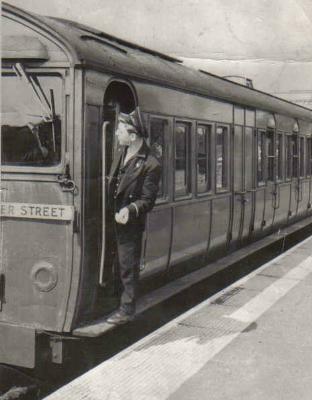 Amersham Station in 1958 before the alterations associated with the electrification of the Metropolitan Line to Amersham. 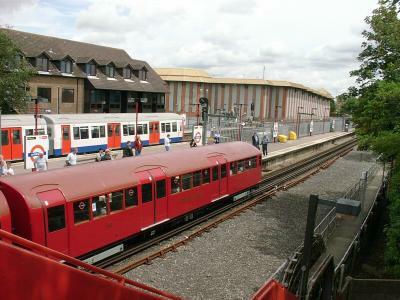 Note, only two platforms (the current Aylesbury platform was built for the electrification) and the old signal box at the end of the platform replaced by the new signal cabin sited on the far side of the station. 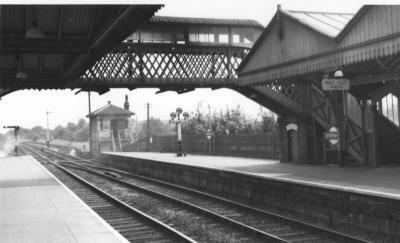 Also note the windows on the footbridge, replaced in the 1970s by plastic sheeting.